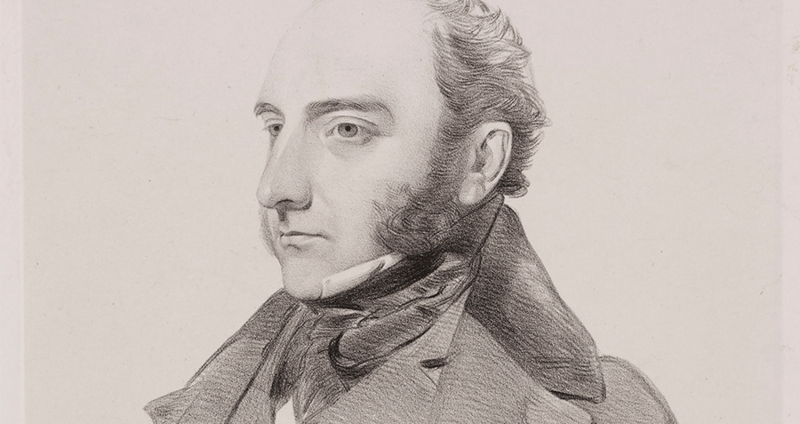 Despite being known as the fastest surgeon of his time, Dr. Robert Liston is famous for performing the only operation with a 300 percent mortality rate. In the days before anesthesia, surgeons had to get creative with their surgeries in an attempt to save lives while minimizing a patient’s pain. One of the most effective ways was to perform the surgery as quickly as possible, sometimes in under five minutes. There was an upside to this method, of course, as the less time a surgery took, the less likely the patient was to bleed out and the less likely they were to feel pain. However, there was also a downside, as accuracy would usually be sacrificed in favor of speed. One of the surgeons most famous for his speed was Dr. Robert Liston. Robert Liston was born in 1794, in Ecclesmachan, Scotland. He studied medicine at the University of Edinburgh and quickly became interested in anatomy. He decided to narrow his focus on surgery, and soon gained a reputation as a skilled surgeon. 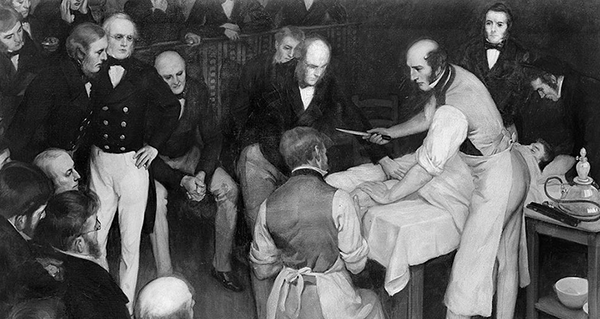 Wikimedia CommonsRobert Liston performing an amputation in front of a crowd of spectators. Known as “the fastest knife on West End,” Liston was particularly skilled at quick amputations. Where most surgeons at that time lost one in four patients, due to his speed and skill, Liston only lost about one in ten. British surgeon and author Richard Gordon, a noted Liston expert, claims that Liston could perform a leg amputation in two and a half minutes, at one point even getting it down to 28 seconds. He was so sure of his speed he became known for his catchphrase, uttered before every surgery. And everyone in his ever-growing gallery of onlookers would time him. Due to his reputation, he quickly became famous for his work. However, one of his surgeries, in particular, stands out above the rest. 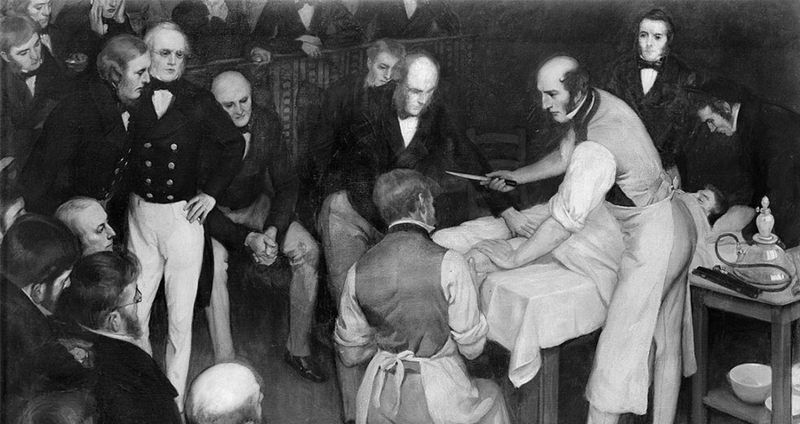 Robert Liston was performing a leg amputation on a patient who was lying flat on his table. As he brought down his knife, he was so focused on his speed that he took his surgical assistant’s fingers off along with the patient’s leg. As he swung the knife back up, it clipped a spectator’s coattails, and he collapsed, dead. The patient and Liston’s assistant both died after their wounds became infected, and the spectator who collapsed was later discovered to have died of fright. The three death’s made Liston’s surgery the only one on record with a 300 percent mortality rate. Though the three deaths were by far the most notable of his career, they weren’t the only time Liston gained infamy for a less than successful surgery. While amputating another patient’s leg, he broke his personal record by finishing the surgery in two and a half minutes. However, in the interest of speed, he got a little too excited and chopped off the patient’s testicles along with his leg. He also once mistook a lump in a young boy’s neck for a skin tag, and removed it suddenly at the boys home. The lump turned out to be an aneurysm of his carotid artery, and the boy died. Wikimedia CommonsMarble statue made to honor Robert Liston. Years later, when anesthesia was invented, Liston became the first surgeon to operate using it, and his surgery was a success. 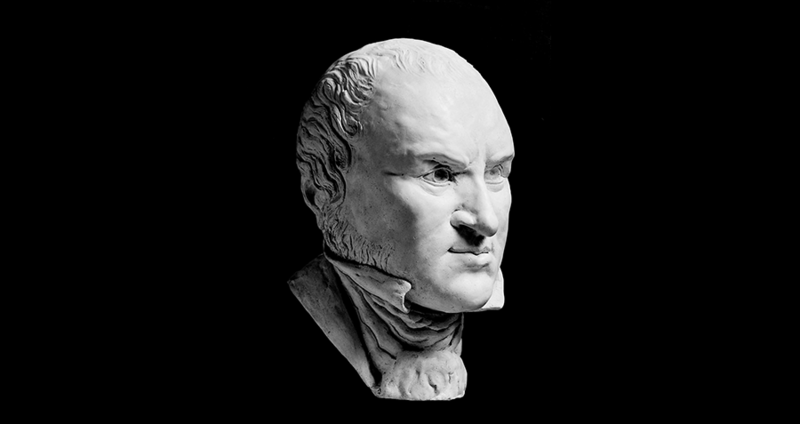 Despite his downfalls, Robert Liston remained a distinguished surgeon. After his death, his peers erected a marble statue in his honor and created an award for students of distinction in his name. Enjoy this article on Robert Liston? Check out the Chinese surgeons who were able to perform an ear-to-forearm transplant surgery. Then, read about the man whose thumb was replaced with a toe after a bullfighting accident.